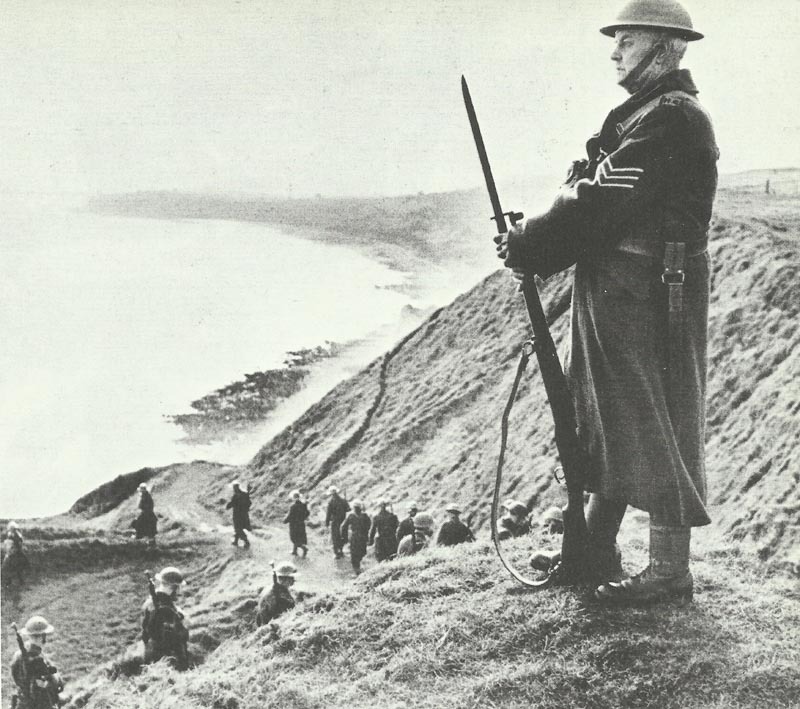 Volunteers from the Home Guard guarding a coast line. Britain: Local Defence Volunteers renamed Home Guard. 1,300,000 men have volunteered since May 14; recruiting officially terminated. Third War Budget: income tax raised to 8s 6d. in £, 1d on pint of beer. New Purchase Tax retitled ‘Merchant Sales Tax’ (title later dropped). Hungary: Pro-Nazi demonstrations in Budapest. Czechoslovakia: Provisional Czechoslovak Government established in London by members of former ‘Czechoslovak National Committee’, with Benes (President) and Masaryk (Foreign Minister). Britain recognizes new Government. General Legentilhomme Free French-commander in French Somaliland, replaced by pro-Vichy General Germain. French troops abandon vital Jirre pass, July 27 – thereby exposing British Somaliland to Italian invasion.